The Delhi High Court speaking through Justice Ved Prakash Vaish in Dr.Professor Santhosh Panda vs. Indira Gandhi National Open University [ W.P. (C) 2299/2016] has ruled that a person on deputation (deputationist) cannot seek to claim any vested right to the post deputed, or get absorbed to the deputed department once the period of deputation, from his parent department is over. The Petitioner was working as professor in the respondent university. A notification in the meanwhile was issued, calling for appointment to the post of Chairperson, National Council of Teacher Education. The term prescribed for the post was a period of four years or 60 years whichever was earlier. The Petitioner made a request with the university to be deputed to the said post. The petitioner’s request was accepted by the university and his services were accordingly relieved. The petitioner was granted Extraordinary Leave(EOL) in his parent department, to enable him to take his new assignment. The Petitioner took charge as Chairperson, National Council of Teacher Education on 25/11/13. The University, however granted the period of deputation in different spells continuously , all of which were extended from time to time. In the meanwhile, a request was made by N.C.T.E , before the university to extend the services of the petitioner up to 27/11/17. However by the decision of the Board of Management of University, on 23/01/16, it was resolved not to extend the period of deputation of the petitioner beyond 17/03/16.It was further decided to relieve the services of the petitioner from N.C.T.E, to join his parent department on or before 02/03/16. The University hence rejected the further period of extension of deputation sought on behalf of the petitioner. 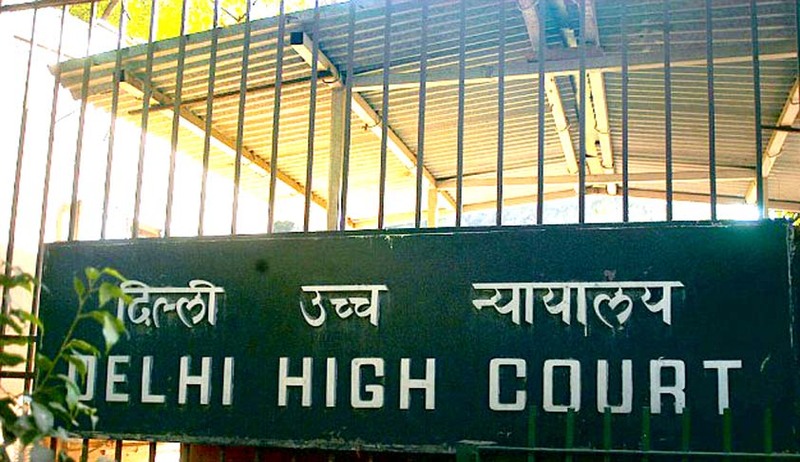 Aggrieved by the refusal to extend period of deputation , the petitioner had approached the Delhi High Court. The petitioner contended his case relying on the decision of Board of Management, to allow him avail a period of over and above period of five years to complete his tenure of four years in N.C.T.E on Extraordinary Leave (EOL) as per the Leave Ordinance of the University. It however mandated that in order to avail extension of EOL beyond five years, with a view to complete his tenure as Chairperson, the petitioner should request three months in advance as per the provisions in the Leave Ordinance of the University for consideration of Board of Management. The High Court rejected the contentions of the petitioner on two counts. Firstly, it ruled that a person on deputation cannot claim any vested interest to continue on the post, he was deputed once the period of deputation was over. Secondly , in the absence of any request from the petitioner in advance of 3 months to extend his (EOL), the request of the petitioner ought not to be considered. The Judicial reasoning of the court was delivered on the following lines:- “The basic principle underlying deputation itself is that the person concerned can always and at any time be repatriated to his parent department to serve in his substantive position therein at the instance of either of the departments and there is no vested right in such a person to continue for long on deputation or get absorbed in the department to which he had gone on deputation. The period of deputation of the petitioner is over. Whatever be the reason for non-continuation of the petitioner as a deputationist, the decision of the respondent University cannot be questioned, as the petitioner has no right to demand continuation of his service”.